A company that provides communications systems to law enforcement agencies around the world has developed a black box similar to those used in aircraft to record crash data in cars. The Smart Black Box by KCI Communications sticks to your windshield and uses a built-in camera, GPS unit and G-force shock sensor to document accidents. The info could come in handy when trying to determine fault or explain to your insurance company just what happened when you crunched your car. The Smart Black Box costs about $300 and constantly records video footage on a loop as you drive. Should the shock sensor detect an accident, the device saves the 15 seconds prior to impact and the 5 seconds afterward. The footage is saved to a SD Card, like that found in your digital camera, making it accessible on a home computer. KCI says the GPS unit will record the time and location of an accident and document your speed and direction of travel. The company says that could be useful when trying to prove that red light you ran was actually yellow or in cases where you dispute the reading on a cops radar. KCI Communications is of course not the first company to put a camera in your car. But it couples the camera with GPS documentation and a built-in G-shock sensor, which is capable of tracing the point of impact during an accident on a three line X, Y, Z graph. 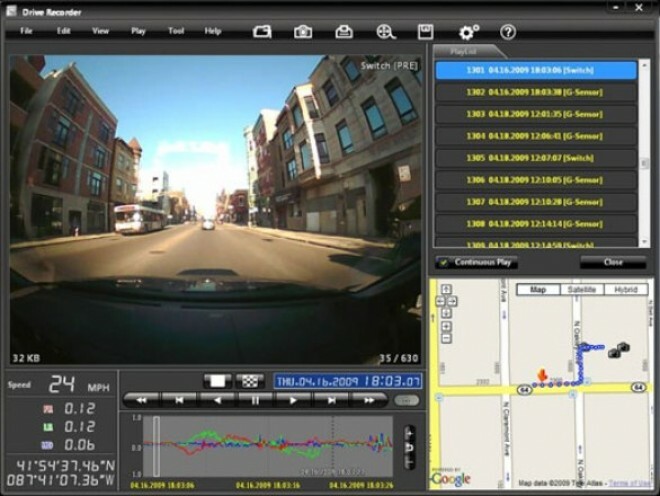 Unlike other car camera providers, Pflanz said KCI Communications also doesnt charge a monthly fee or aggregate the recorded data through a main-frame server. You are currently browsing the archives for the car technology category.